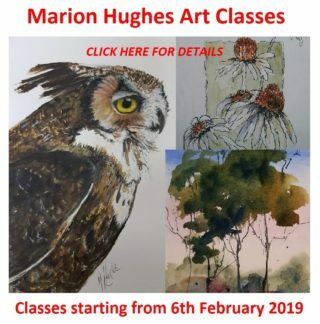 Diana Garth began painting in 1980 primarily using oils, and progressed to other mediums such as mixed media, and watercolour some years later. 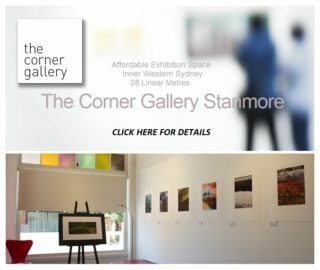 Diana is actively involved in the Combined Art Societies of Sydney and holds the committee position of Resource Officer. 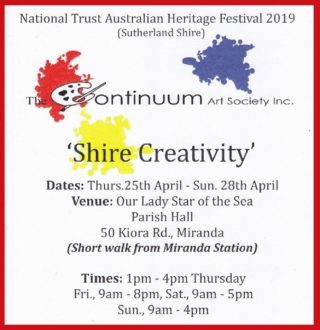 She is also currently serving her 27th year as The Co-ordinator of the annual ‘ART IN ACTION’ workshop event, held at Kurrajong in May each year. 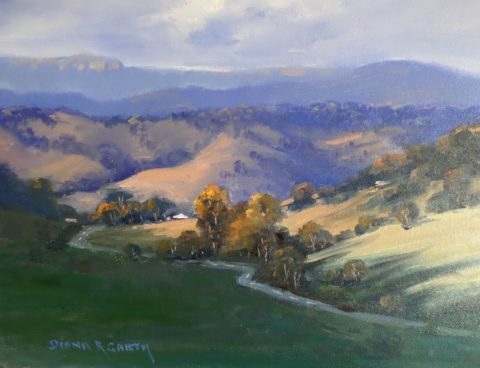 Diana is one of the founding members and was theInaugural President of the Oatley 101 Society of Artists. 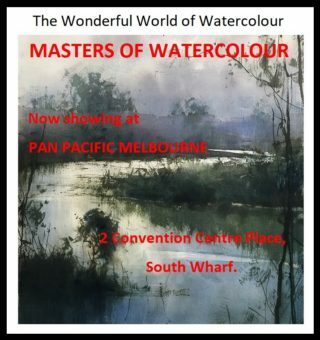 A position she held for 12 years and is an exhibiting member of the Royal Art Society of Sydney. 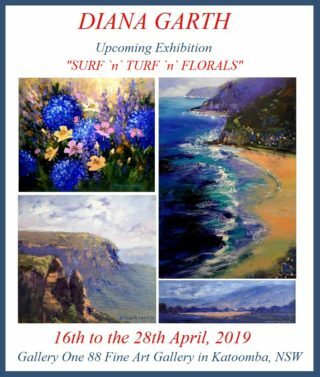 Solo Exhibition "SURF `N` TURF `N` FLOWERS"
Diana will be exhibiting a collection of her landscape paintings Gallery One 88 in Katoomba from the 16th April to the 28th April, 2019. 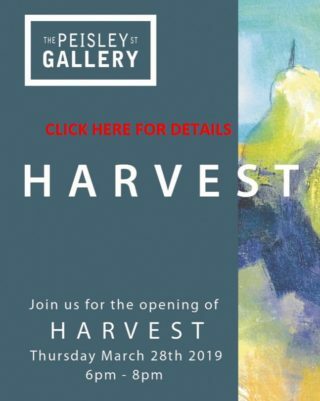 The opening celebration with wine and refreshments will be on Saturday 20th April 3pm- 5pm. 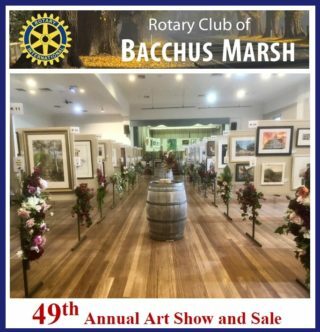 Highly Commended Local Scene - Tumut Art Show.